Over a year ago already... 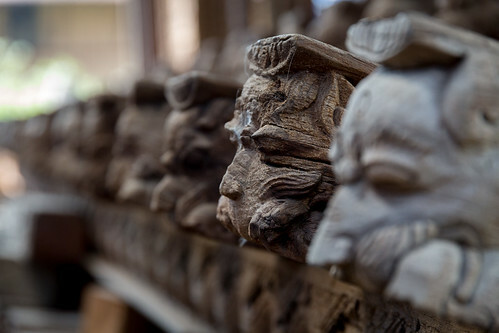 This picture was taken in a Workshop in Patan that was recreating Wood Carvings, to replace the ones at Durbar Square, which had been destroyed during the major Earthquake in April 2015. My former University (University of Heidelberg) partially funded the reconstruction, which is why we got a very interesting look behind the scenes.